How do I choose the appropriate Medical aid scheme? In order to join a Medical aid scheme, and select the best suitable option, we at IFC can assist you in making the decision by providing open-minded independent advice. Will the Medical aid scheme impose waiting periods? Waiting periods are imposed based on age, health and previous medical aid cover (please contact the broker in order for best advice according to individual criteria). No, not unless it’s is a closed scheme and the member is not entitled to join that particular scheme. In the event of non disclosure, the scheme may request for immediate termination of membership. How long is the process of becoming a new member? This process varies depending on the scheme that the member is applying for (It is best to discuss this information with our Medical aid specialists). In order for members to qualify as dependents, they need to be a spouse, child or 100% financially dependent on the main member and be able to prove it if necessary. When is a child considered dependent considered to be an adult dependent? Most schemes charge adult rates to children from the age of 21 even if they happen to be full time students but this varies, according to scheme. Why should I use IFC as my broker? First of all free advice will be provided and IFC will provide you with excellent ongoing, after sales service. What is a PMB condition? Every Medical aid scheme is obliged to provide cover to members that qualify for benefits for approximately 270 clinical conditions listed in the Medical aid schemes act. In 2004 the PMB hospital conditions were extended to include 25 chronic disease conditions. What is the meaning of NHRPL? National Health Reference Price Listing is a guideline price published by the Department of Health for all medical services. Doctors don’t always charge according to the guideline as they may choose to charge above the guideline pricing. What is a late joiner penalty (LJP)? The LJP is an additional contribution over and above the normal monthly contribution that will be paid by members each and every month for as long as the membership is active. Savings is a fixed amount of money that is included in the premium paid monthly by the member on a monthly basis. Most schemes make the full amount available in advance. Depending on the scheme and the option selected, savings may form part of the main out of hospital benefit and on certain schemes; it may be an additional benefit. In terms of savings, any amount that is available at the end of each year reflecting a positive balance will get carried over to the following year. A co-payment is a portion of the bill for which the member is responsible for. Certain options have co-payments for certain procedures meaning that the member needs to pay the designated amount, when receiving treatment for that particular procedure. The term co-payment can also be used to describe the member’s portion of the bill if the scheme/option only covers at a certain % and the provider charges above that %. Designated Service Providers are providers that the scheme has agreements with and the members must make use of these providers in order to avoid co-payments and enjoy benefits. What is meant by Network options? These are options that are in most cases income based, making them affordable for the individual earning a lower income. The Medical aid scheme designates certain hospitals, doctors, chronic providers and dentists in order for treatment to be covered by the scheme, the member must make use of these designated providers. What is meant by Day to Day benefits? Must my employer subsidize my contributions to the medical scheme? No. This is usually an agreement between employer and employer based on the conditions of employment. There is no law which states that this is compulsory. If I do not claim from my medical scheme, may I receive a no-claim bonus or rebate? No, the Act prohibits the payment of bonuses, rebates or refunding of any portion of contributions other than in respect of savings accounts in certain circumstances. When is the LJP imposed? Members who join a medical scheme after a certain age. Those who were not members of a registered medical scheme before 01 April 2001. LJP’s were introduced in order to protect medical schemes from people who wait to join a medical scheme until they have aged and are sickly. How is the LJP calculated? The LJP is calculated according to a fixed formula that has been determined in the Regulations to the Medical Schemes Act. Proof of previous membership is therefore required in order to avoid or keep the LJP at a minimal. LJP’s may also apply to adult dependents. “C” is the number of years that the member was covered by a registered scheme (but not including the number of years when the member was covered as a dependent under the age of 21 years). Now refer to column 1 in the table. The member in this case will have a LJP of 1.50 times the normal monthly contribution applied to his payment each and every month. The contribution for this member will therefore be R1950.00 per month. 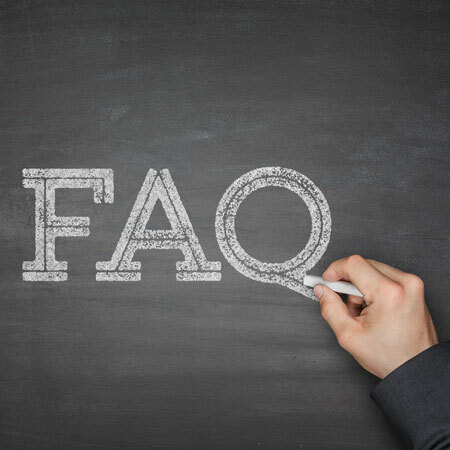 As the LJP issue can be quite confusing, please do not hesitate to contact your broker for further explanations. Claims must be submitted within 4 months from date of service; however it is advisable to submit the claim as soon as possible. Schemes differ with regard to the submission process, that is, some schemes may accept faxed or e-mailed copies of claims whereas others may require the original claim to be posted or delivered. Who should submit the claim? In most instances, your provider will submit claims directly to the scheme and provide you with a copy for your records. Where providers do not submit to the scheme, it will remain your responsibility. Ultimately, each and every claim remains the responsibility of the member. If you or any of your dependants are admitted to hospital, a pre-authorization must be obtained from the scheme. For further information please contact your broker. In order for a membership to be terminated, the member needs to provide the scheme with written notice. It is important for the member to find out exactly what the schemes notice period is. Most schemes require 1 calendar months notice while others require a full 3 months. When is a Medical aid scheme allowed to terminate my membership without giving me an option? Medical aid schemes may terminate any member’s membership with-immediate effect if the member participates in non-disclosure, fraud or if the member belongs to two schemes at the same time. All complaints should first be lodged with the scheme concerned. Written complaints are preferable so you as the member have written proof. However, all schemes also have dedicated telephone lines to handle everyday queries and complaints. Should the scheme fail to resolve an issue, you may submit your complaint to the Council of Medical Schemes Complaints Unit.